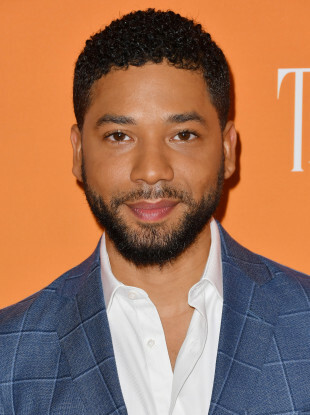 Jussie Smollett was approached by two men who proceeded to shout slurs before attacking him. Jussie Smollett stars in the show Empire and appeared in Alien Covenant. AN ACTOR ON the US TV series Empire has been hospitalised after being assaulted in the early hours of the morning in what police are treating as a suspected hate crime. Jussie Smollett, who also starred in the most recent Alien film, was approached by two men who shouted “racial and homophobic slurs towards him”, the Chicago Police Department said. The men punched Smollett repeatedly in the face and poured an unknown chemical substance on him. At some point during the incident, one of the men wrapped a rope around the actor’s neck, police said. They fled the scene on foot. Smollett was transported to Northwestern Hospital where he is said to be in a good condition. “Given the severity of the allegations, we are taking this investigation very seriously and are treating it as a possible hate crime,” police said. They are working to gather video evidence from the scene, and interview witnesses. Smollett is cooperating with investigators as they seek to trace the culprits. Email “Attackers put rope around US actor's neck in suspected racist, homophobic assault”. Feedback on “Attackers put rope around US actor's neck in suspected racist, homophobic assault”.